Garments are usually stored on static racking, either on cantilever arms or within a bay configuration. 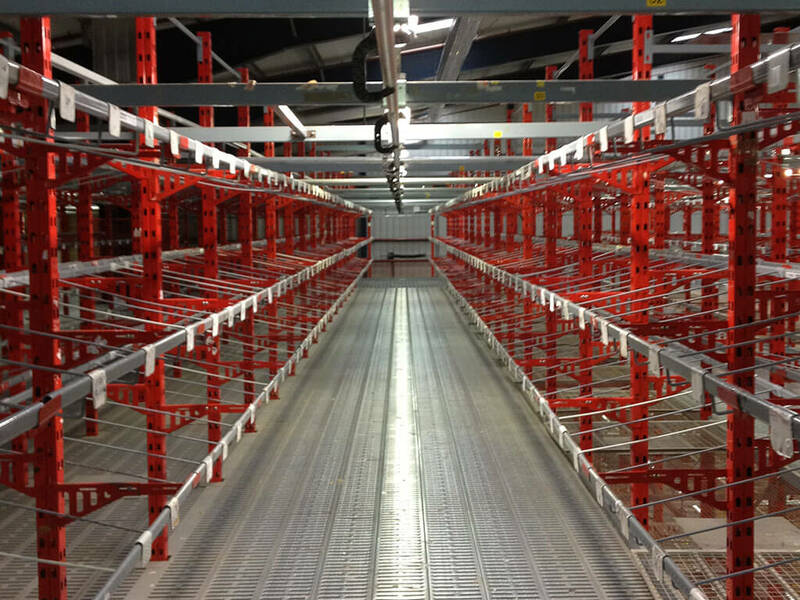 Similar to pallet racking, the system comprises uprights and cross beams. The cross beams are circular or oval to accept hangers, and this system can easily be adapted to suit boxed storage by the use of decking. An efficient and cost-effective way of handling product to and from static locations. Also known as a Garment on Hanger (GOH) system, the garments are typically suspended from roller trolleys that can move them over long distances. Uses conveyor systems to carry garments across a multi-level storage environment, including mezzanines, and can drastically reduce the labour required to move your stock between floors. When transporting garments and other stock on site, overhead monorail systems are an efficient and cost-effective way of handling product to and from static locations. The movement of the trolleys is manual and therefore controlled at all times, and a variety of functions and processes can be performed to precisely store, locate and move garments across your site. Conveyor systems carry garments across a multi-level storage environment, including mezzanines, and can drastically reduce the labour required to move your stock between floors. 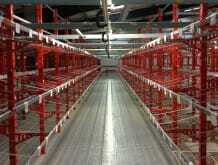 Can drastically reduce the labour required to move your stock between floors. Work well in warehouses where clothing transportations are flowing in and out at high capacities. Also suitable for smaller operations where ease of movement and time sensitivities are key.